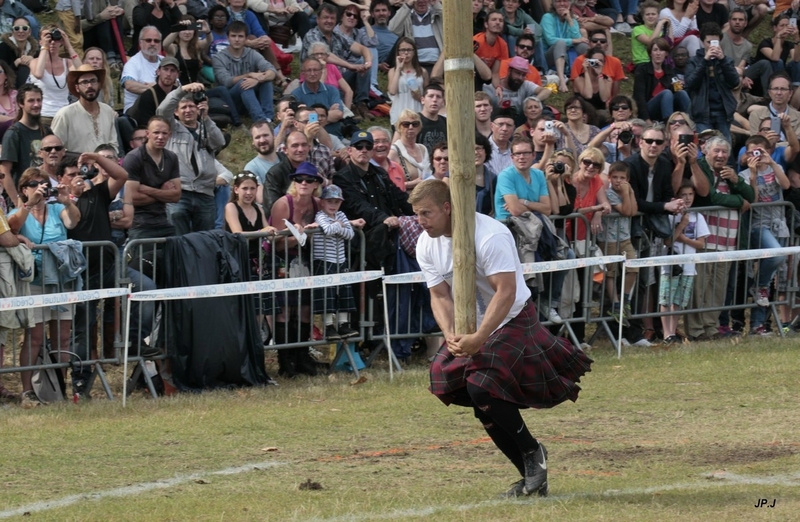 The spectators had to wait until the last event, the weight over bar, to know the name of the 2015 IHGF World Champion. Dan Mac KIM threw it over a 5.10m bar, a new Bressuire record, but Matt VINCENT failed three times. 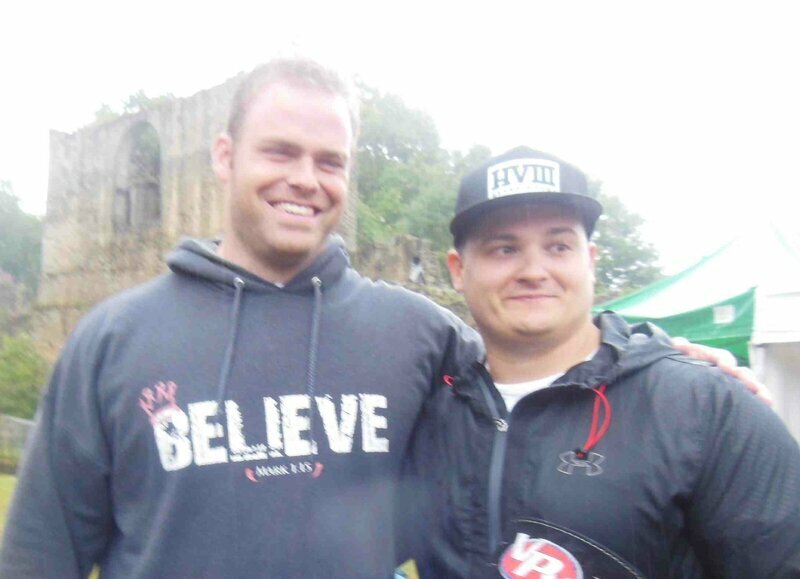 So, after two titles in 2011 and 2013, Dan is an IHGF World champion again. The conditions had been fantastic on Saturday under the sun. But it rained all the time on Sunday afternoon and it was really difficult to throw inside the fantastic Bressuire castle. 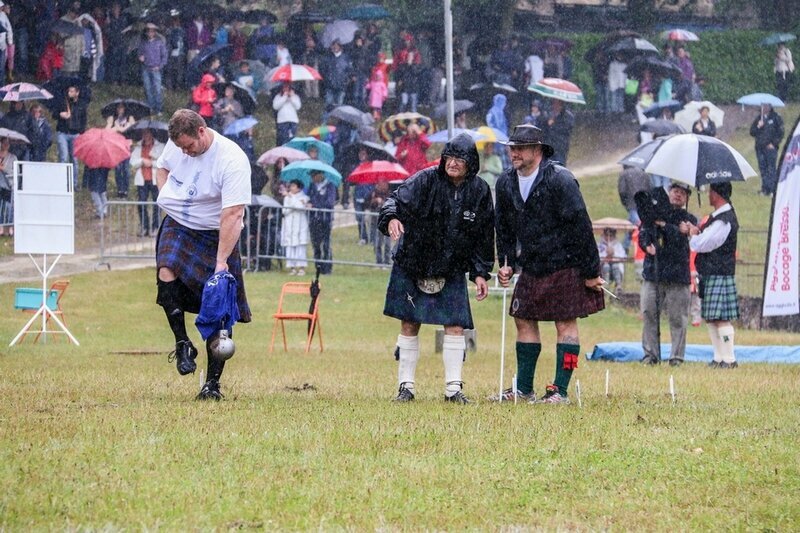 Because of the weather condition, it was impossible to toss the caber on Sunday. SEb WENTA won the cork-throw and Dan McKIM won the keg over bar. Of course, we'll have more about it later in the week. After the last event, Matt (on the left) was the first one to congratulate Dan McKIM for his overall victory. Congratulations to all the throwers! 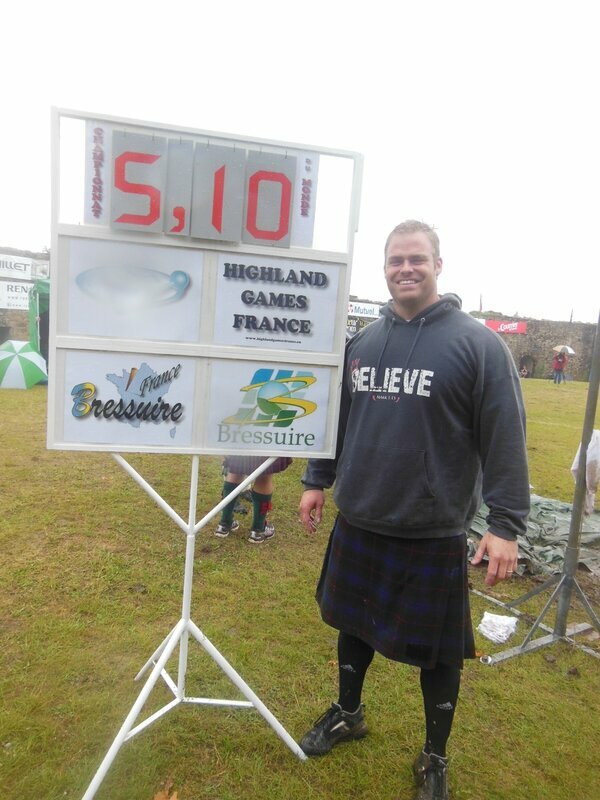 It was a real pleasure to watch these world championships in Bressuire! And it was a real priviledge to be the speaker. Independance day:"may the fourth be with you!" Francis brebner: "one of the best climax finishes"